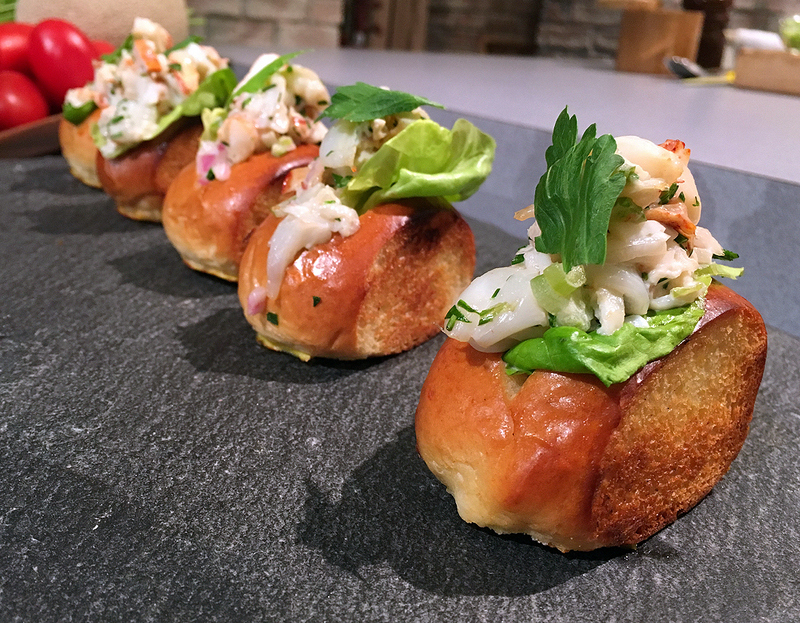 15-year-old prodigy chef Kai Kani made her debut on “The Talk” with a delicious bang! 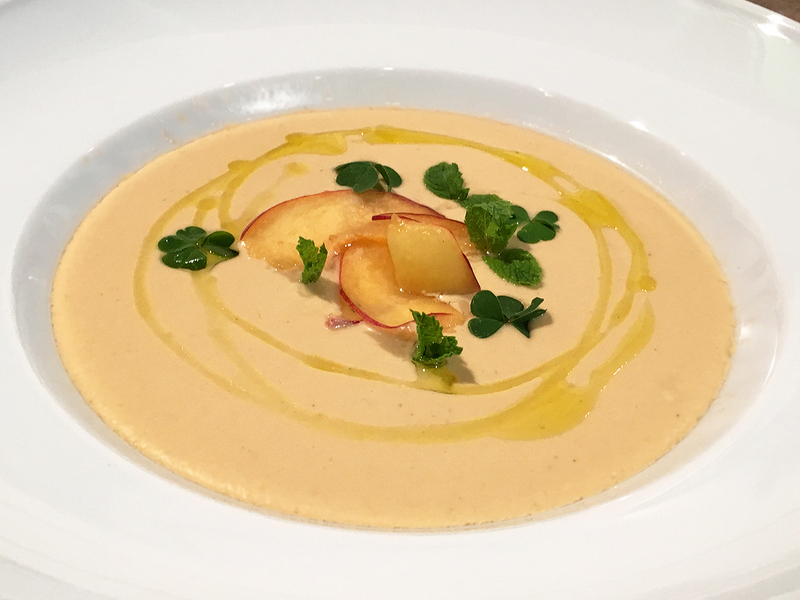 Demonstrating elegant, seasonal dishes, our hosts were left raving over the wunderkind chef. To see (and taste!) 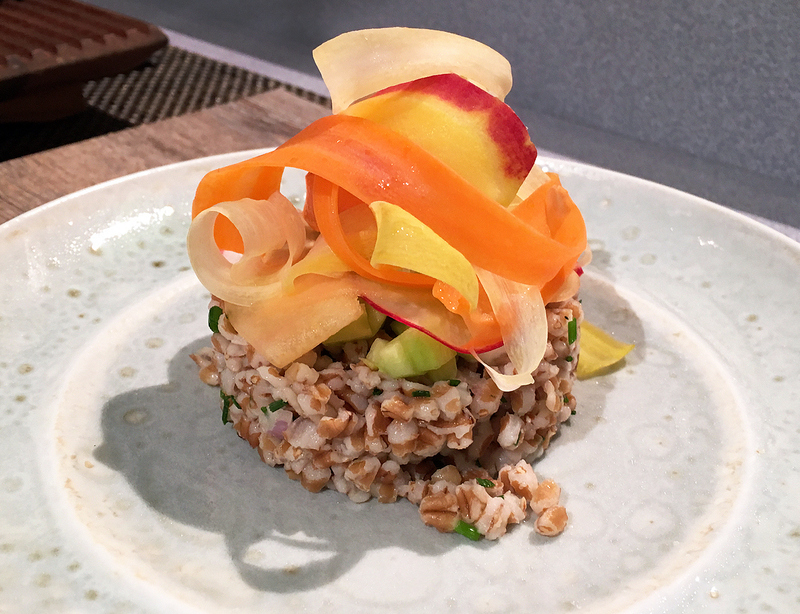 for yourself, Kai has shared her unique takes on lobster roll, gazpacho, and a wheatberry salad below. Don’t forget to wash it all down with her lemongrass lime soda too! 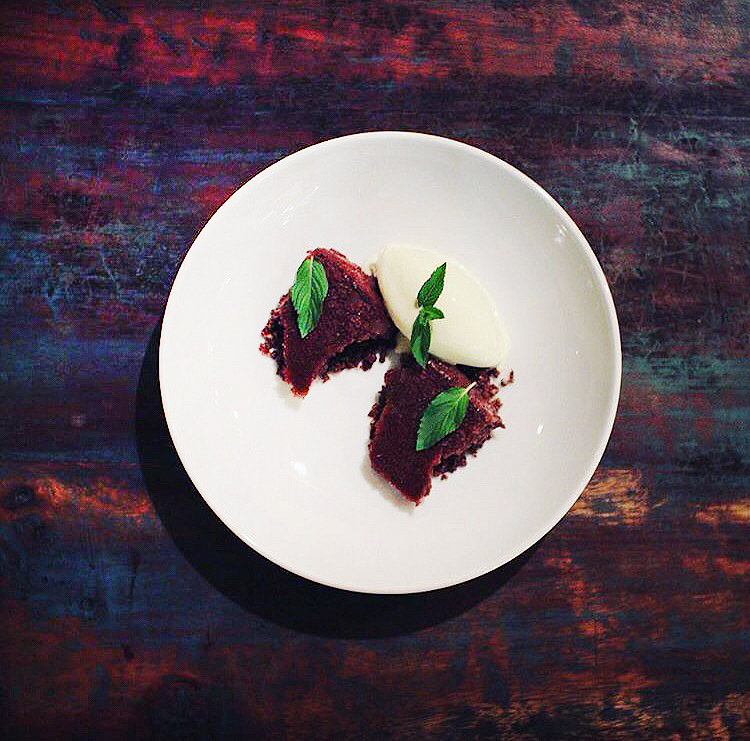 Check out Kai's bonus recipe for Mint Chocolate dessert below & find out about her upcoming pop-up restaurant at http://www.kaikani-la.com! Cook lobsters in a large pot of salted water for 7 minutes. Break down the lobsters and dice the tails, knuckles and claws into bite size pieces. Combine the mayonnaise, onion, celery, tarragon, parsley, chives, and lime juice in a bowl. Fold in the lobster and season to taste. Toast the brioche buns with the melted butter. Add 1 piece of the butter lettuce. Then, 3 tablespoons of the dressed lobster and 1 celery leaf. Whisk the yogurt, lemon juice, olive oil, and kosher salt well. Place in a squeeze bottle. the rice vinegar and sugar. Reserve in the refrigerator until ready to use. Thinly slice the radishes on a mandolin and combine with the lemon juice and maldon salt. more dots of the yogurt sauce. A few ribbons of the melon salad and a few slices of radishes. at room temperature for 2 hours. the cold water and adjust seasoning as needed. Chill in the refrigerator until very cold. Fill a tall glass with ice cubes. Add 3 tablespoons of the lemongrass syrup, (or more to taste). Top with soda water to fill the glass and a small bunch of mint. Combine the milk, sugar, and heavy cream, salt and mint. Warm the mixture, then cover and steep the mint for 20 minutes. Squeeze the mint out and strain the infused cream. Rewarm the mixture again and temper the egg yolks. Bring the base up to temperature. Chill over an ice bath and churn. Position a rack in the middle of an oven and preheat to 375°F. Butter an 8-inch springform pan. Line the bottom with parchment paper cut to fit. Butter the paper, sprinkle it lightly with flour, then tap out the excess flour. In a large heatproof bowl, combine the chocolate and butter and melt over a saucepan of barely simmering water. Set aside to cool slightly, about 5 minutes. In a small bowl, combine the egg yolks, dissolved coffee and vanilla extract and whisk just until blended. Pour the yolk mixture over the cooled chocolate and whisk until no streaks of egg are visible. In the bowl of a stand mixer or a large, clean mixing bowl, combine the egg whites and cream of tartar. Fit a stand mixer or handheld mixer with the whip attachment. Beat on medium speed until foamy and the cream of tartar dissolves, about 1 minute. Increase the speed to medium-high and continue beating until the whites form soft peaks, 2 to 3 minutes. Add the granulated sugar in 2 batches, beating for 15 seconds after each addition. Then beat for 1 minute more; the whites should be shiny and stiff. Using a rubber spatula, gently fold about one-third of the beaten egg whites into the chocolate mixture. Spoon the remaining whites on top and fold in until no white streaks remain. Preheat the oven to 350 degrees. Line a rimmed baking sheet with parchment paper. In a stand mixer fitted with the paddle attachment cream together the butter, sugar, brown sugar, and salt until incorporated and fluffy. Add the egg and vanilla extract and mix to combine. In a separate bowl, mix the flour and baking soda. Add the dry ingredients to the butter mixture and mix until combined. Spread the cookie dough onto the prepared baking sheet. Bake for 15 minutes until golden brown. Allow to rest and cool. Once the dough is cool, break it up into large pieces and pulse the cookie pieces with the chopped chocolate to a pea sized crumble in a food processor. Brush the mint with the egg white foam, and dredge in sugar, let dry at room temperature for 3 hours. Place 2 spoonfuls of the cookie crumble in each bowl. Add 2 pieces of cake to each side. Add 1 quenelle of mint ice cream. 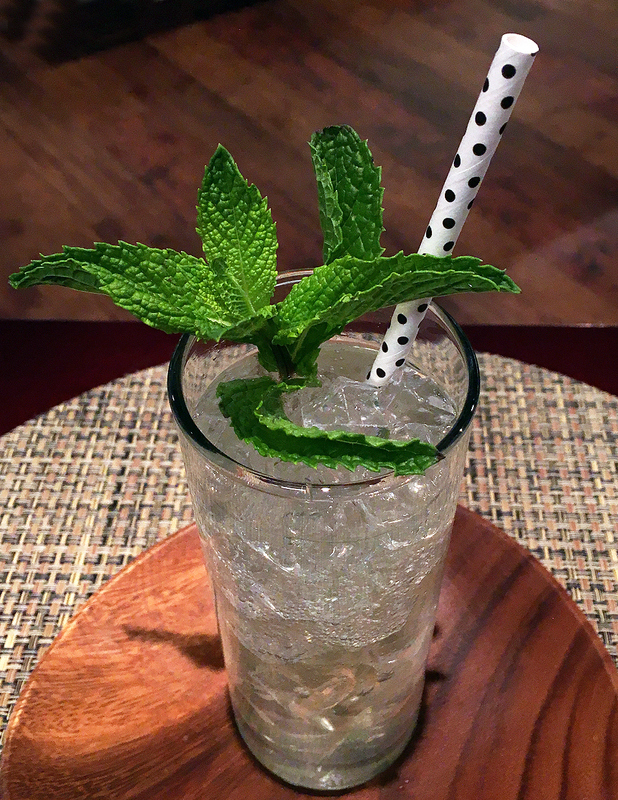 Garnish with a few candied mint leaves.